The Vita Green Impact Fund is a social impact investment focused on fighting poverty and climate change in rural Africa. In 2016 / 2017, phase 1 of the Fund raised €1,500,000 in non-recourse Private Loan Capital alongside €500,000 from Vita. Loan investors will receive a 2% cumulative return on their investment. This phase was effectively a “proof of concept” in preparation for the next phase, which will be €20m + and is expected to launch in 2018. The Fund delivers sustainable water and renewable energy to 200,000 resource-poor rural people in Eritrea and Ethiopia. These water and energy projects will generate over 400,000 tonnes of CO2 emission reductions (carbon credits) which will be sold to repay investors. The surplus will be reinvested in African communities. Working out your carbon footprint is the first step in managing your carbon emissions. CO2balance have a created a variety of carbon calculators. 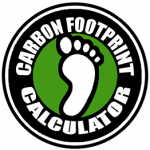 Click the link to calculate your carbon footprint.